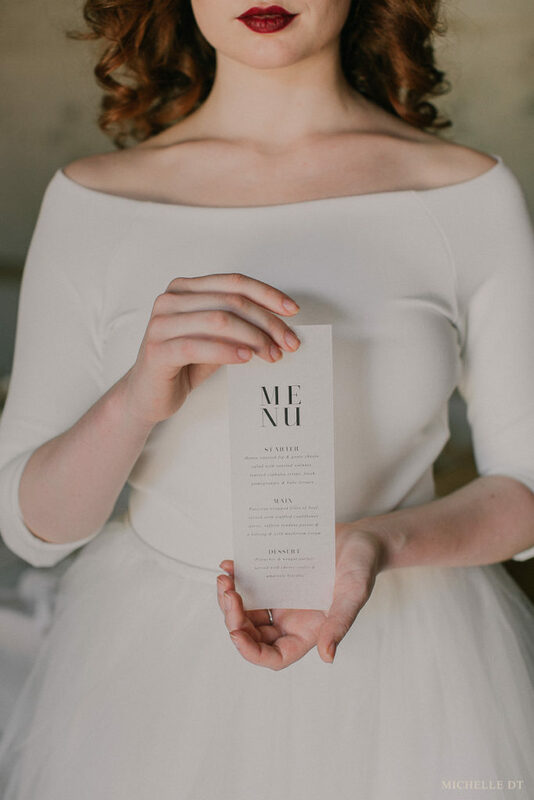 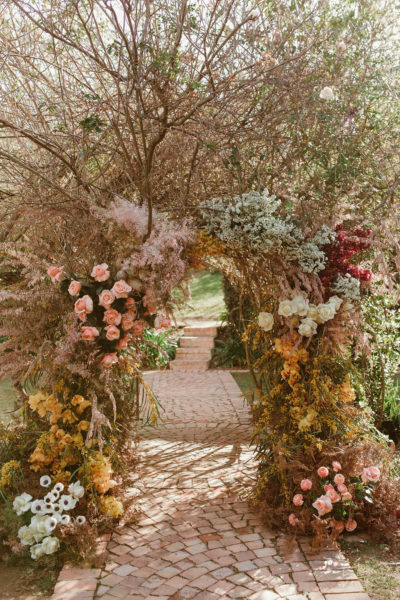 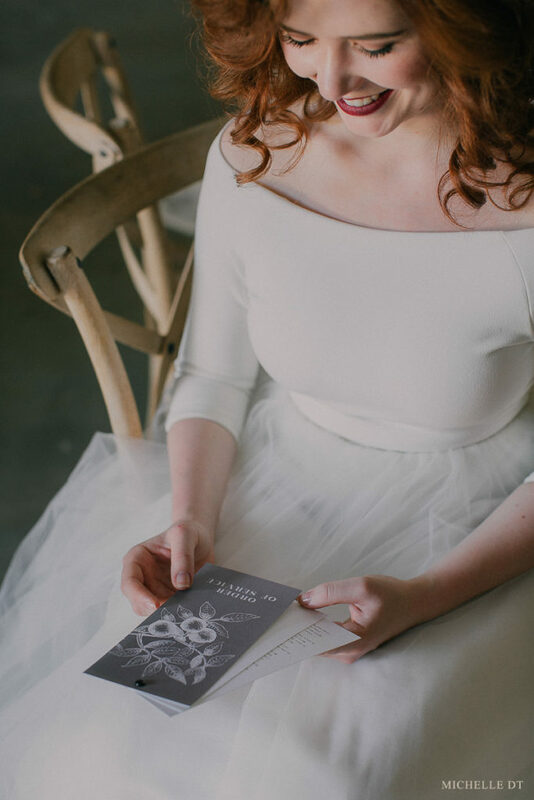 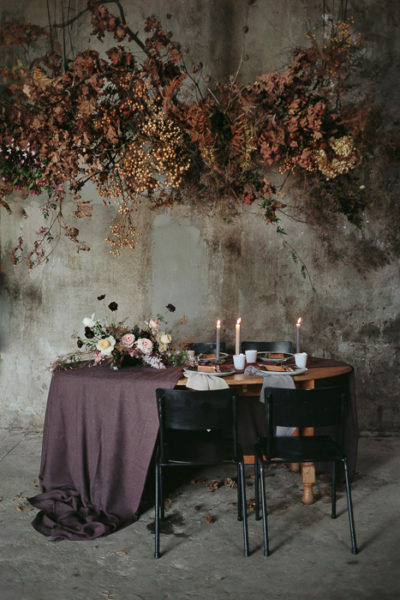 So for this beautiful shoot we wanted to create something monotone but still warm and inviting. 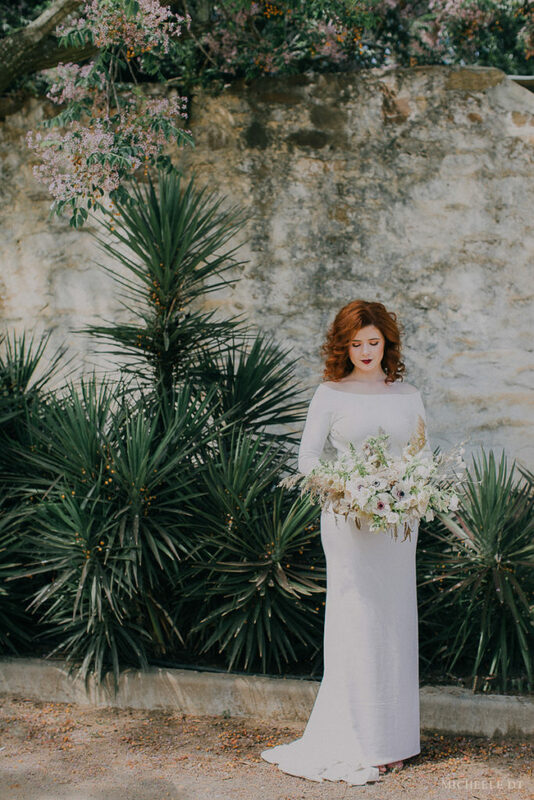 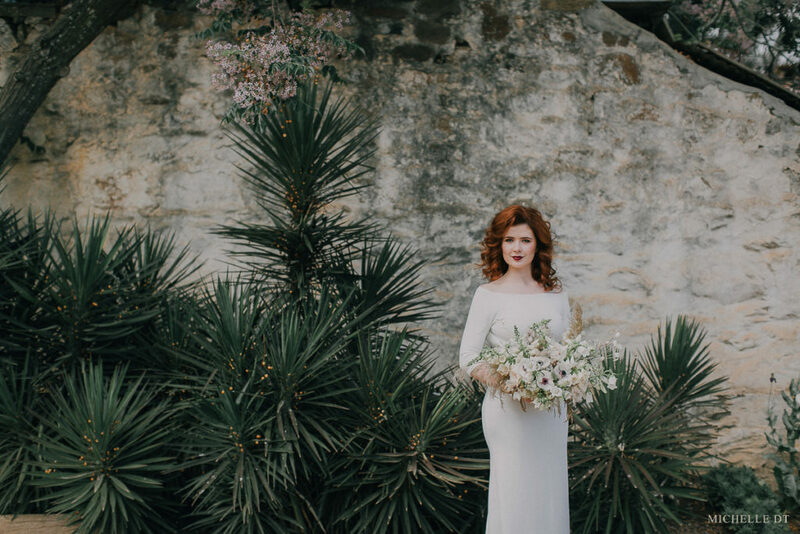 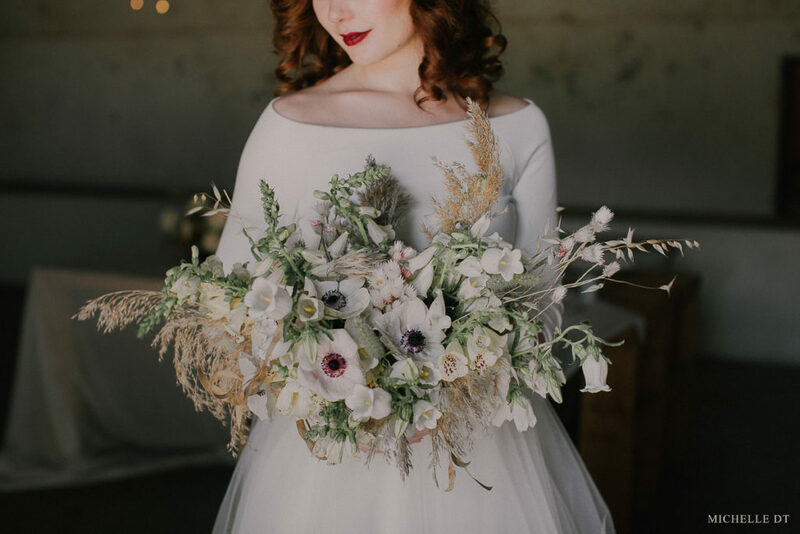 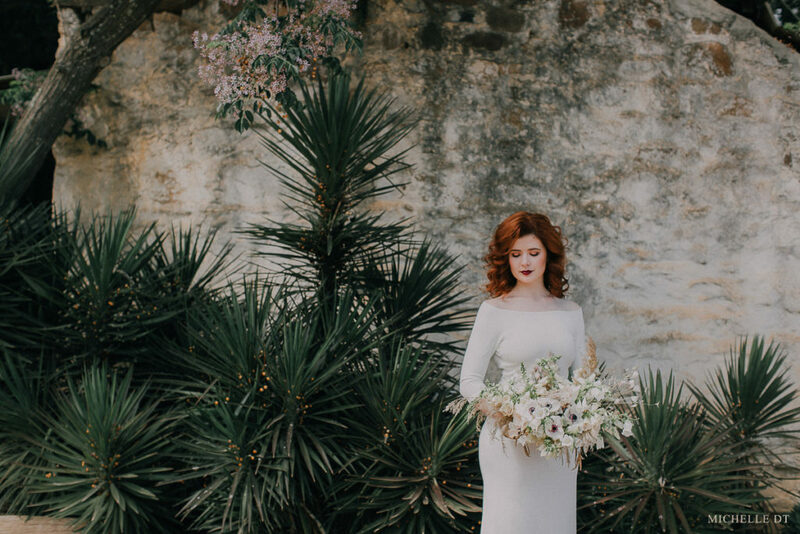 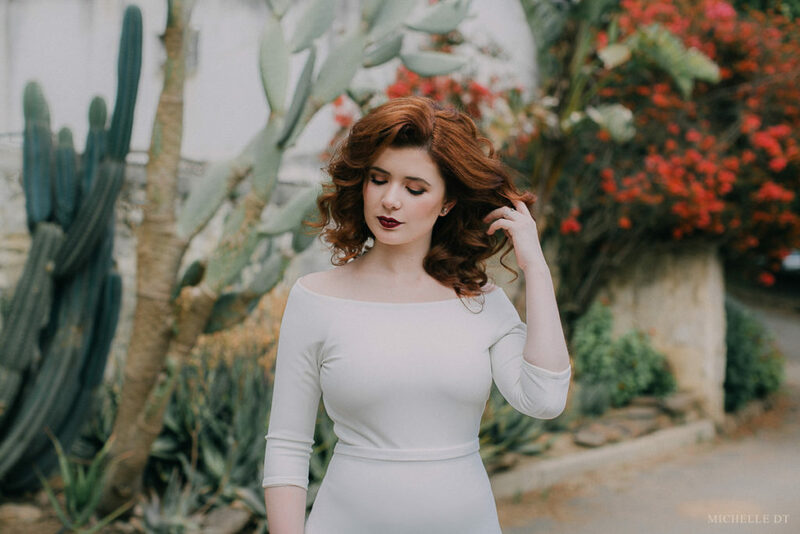 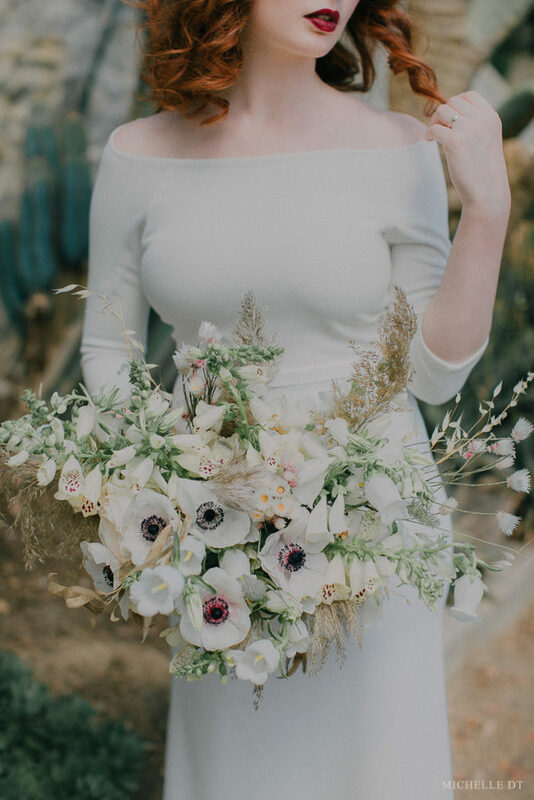 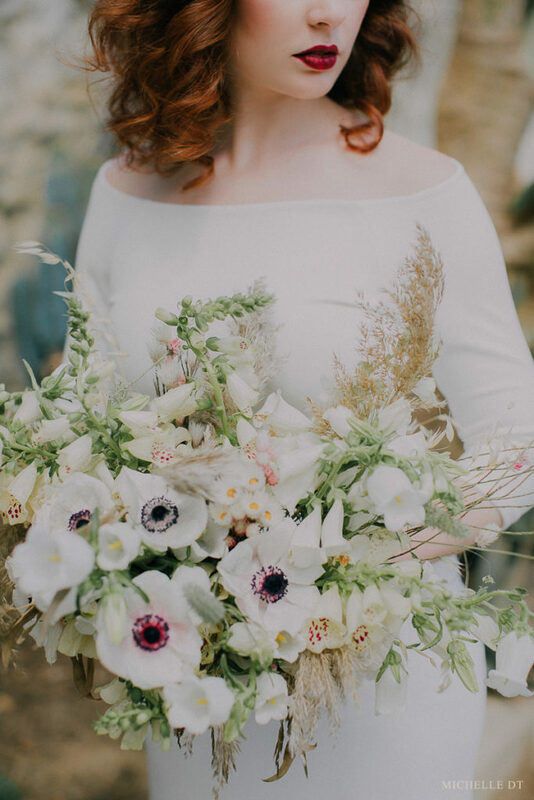 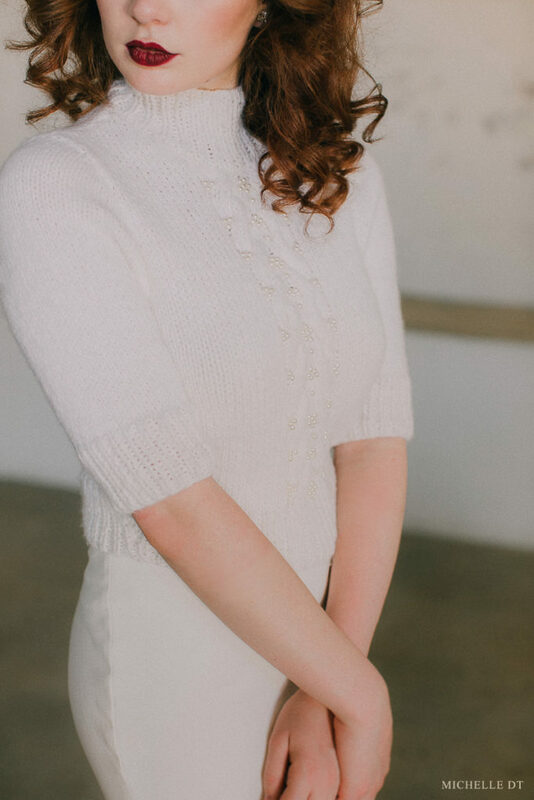 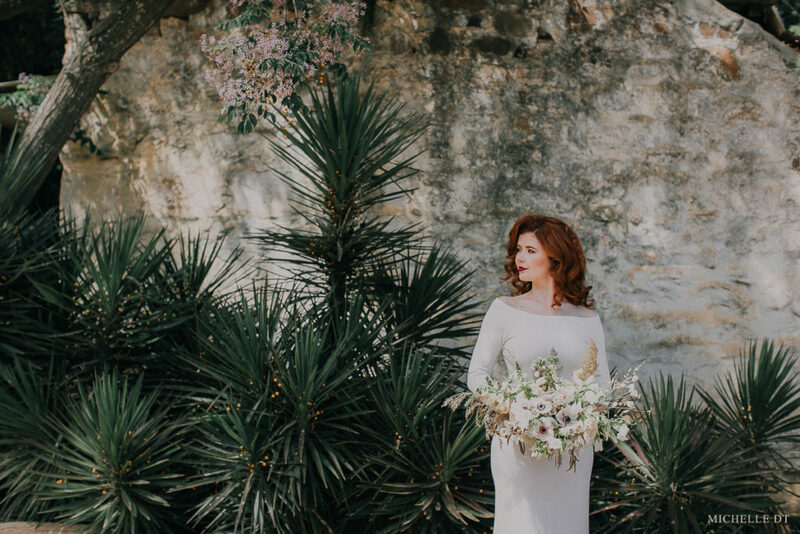 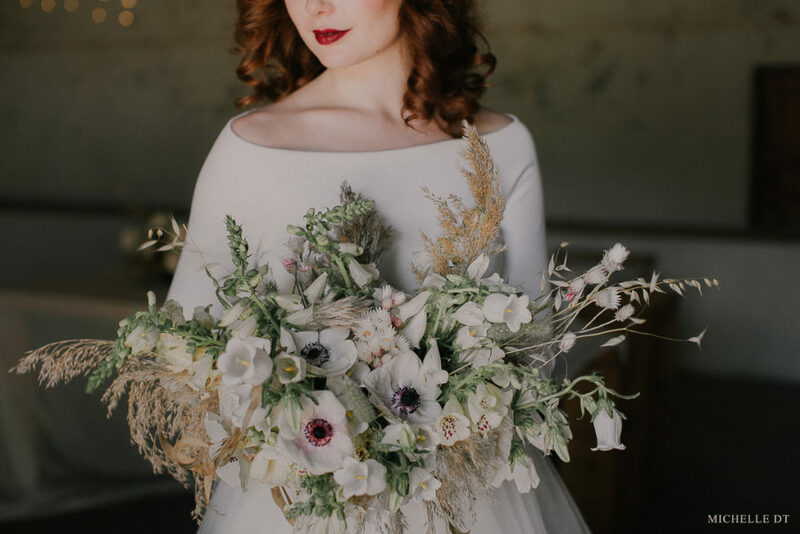 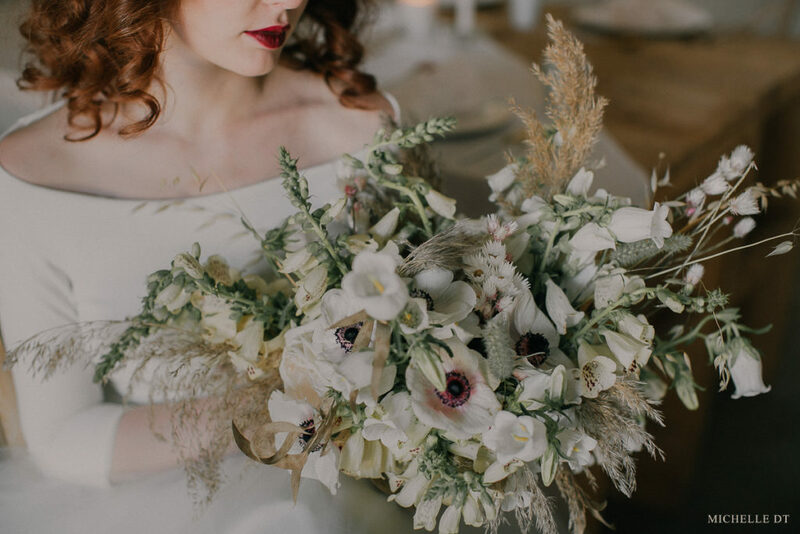 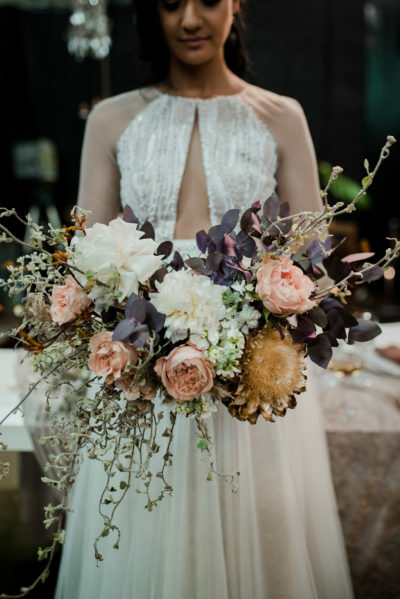 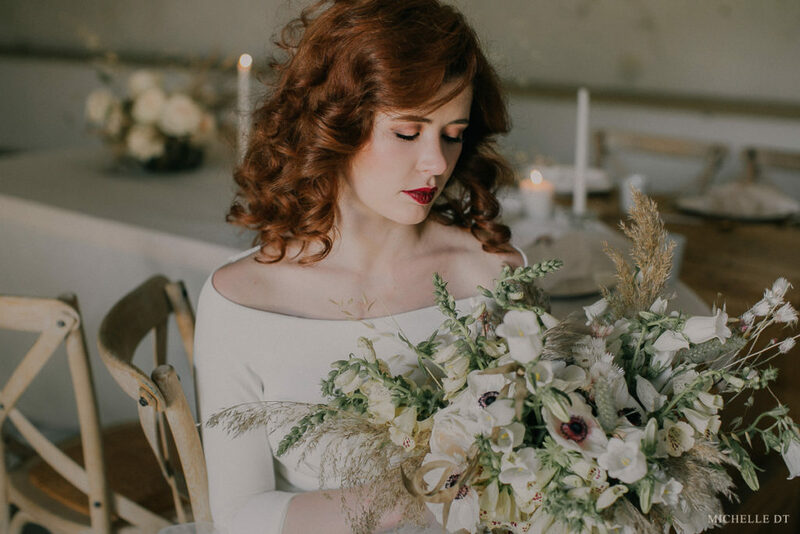 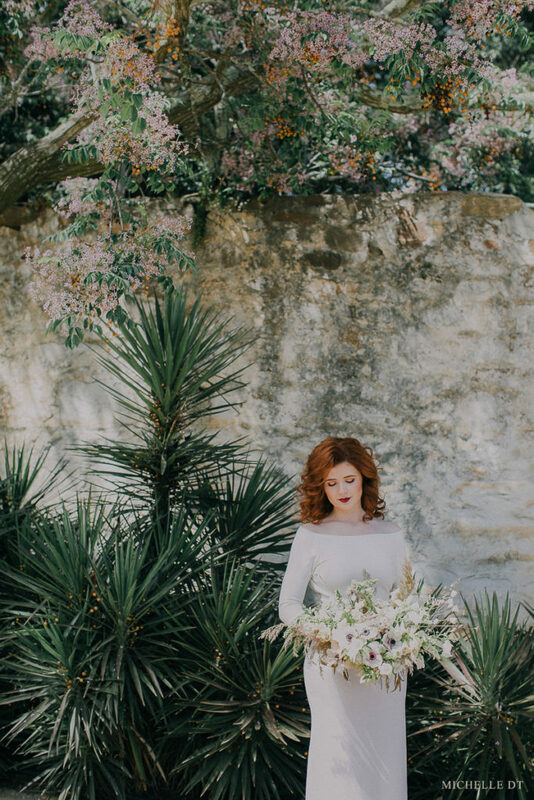 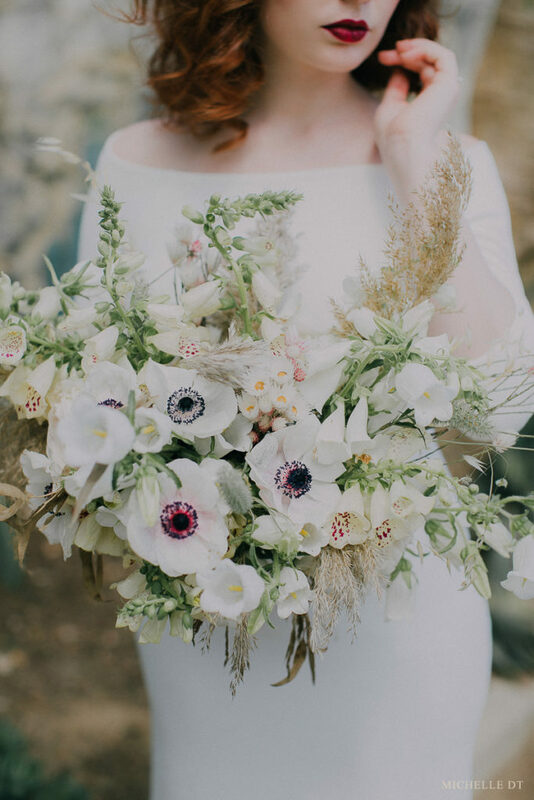 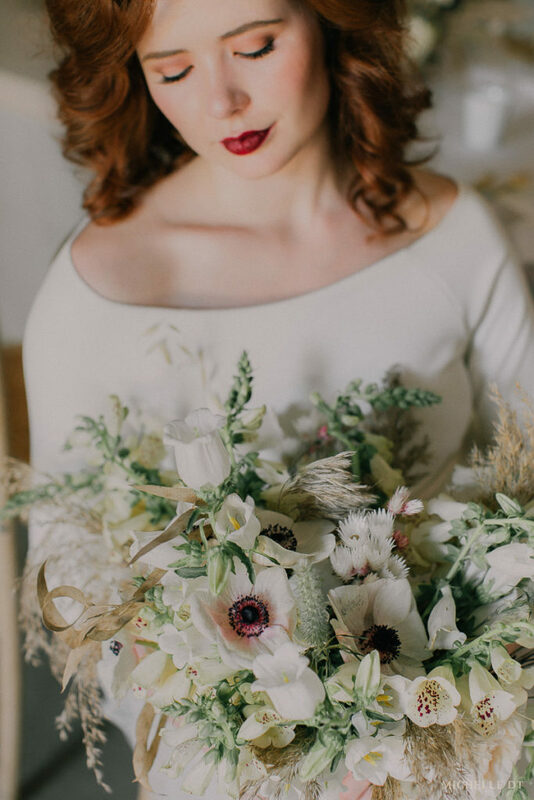 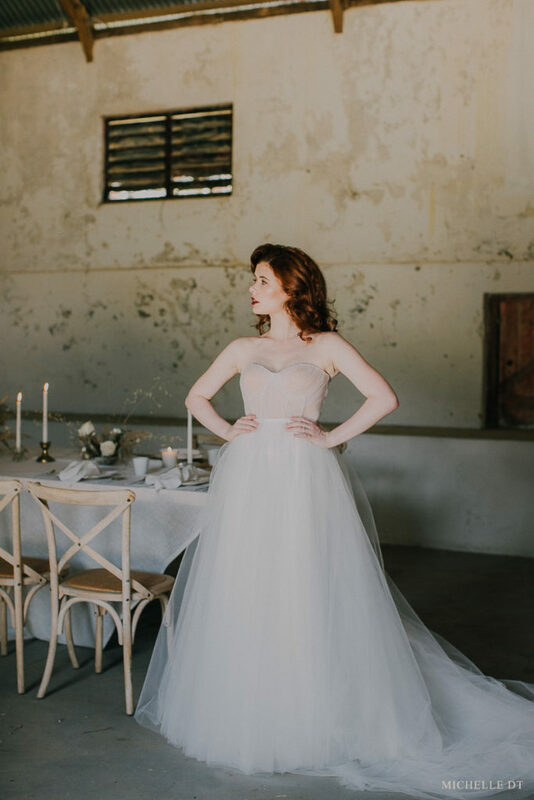 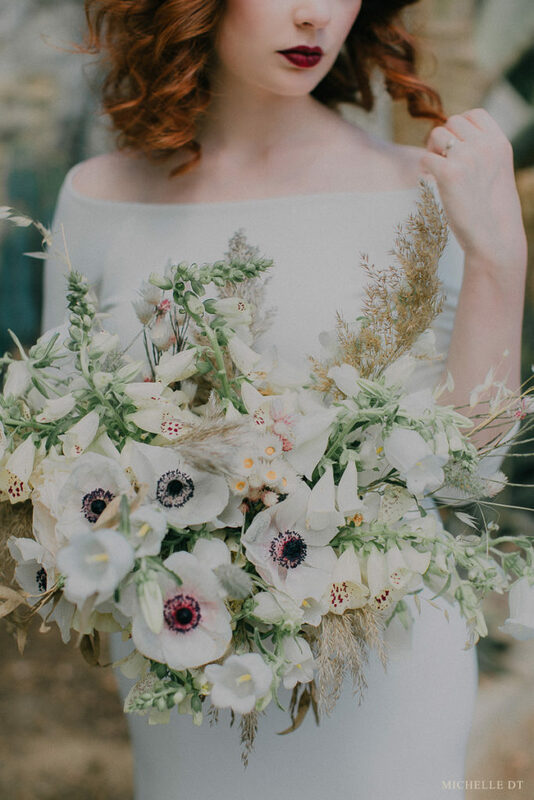 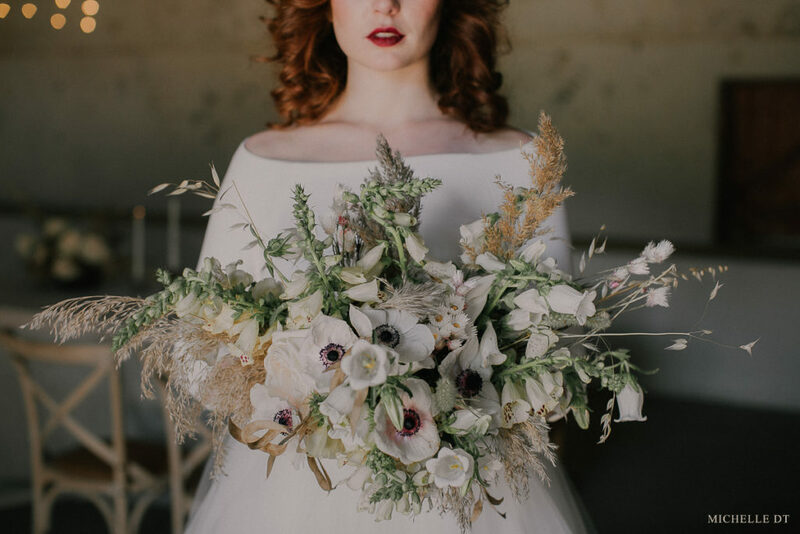 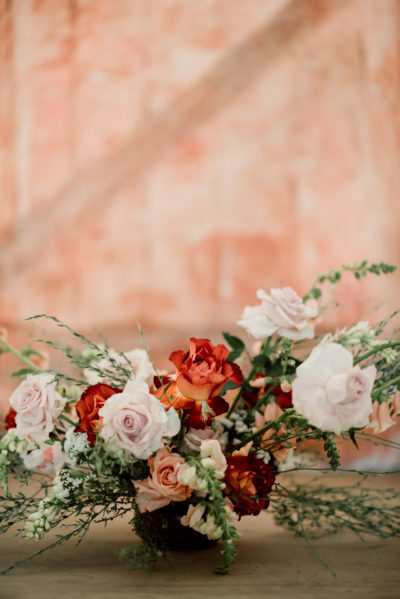 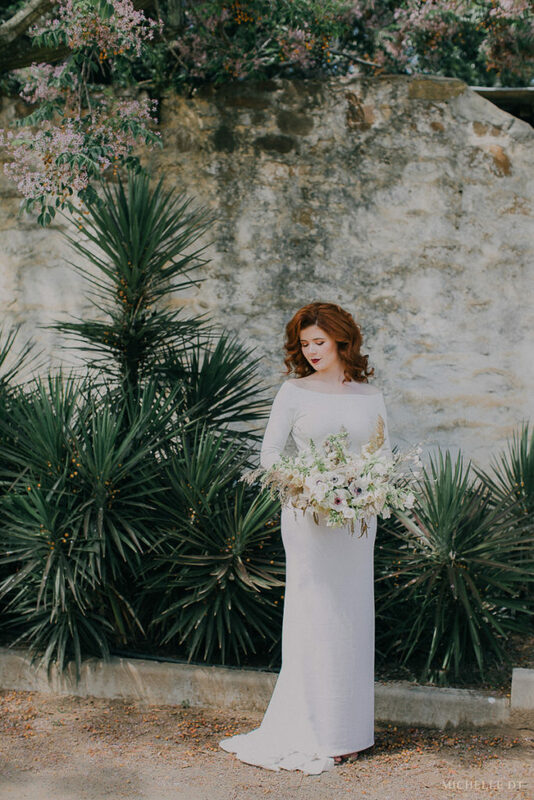 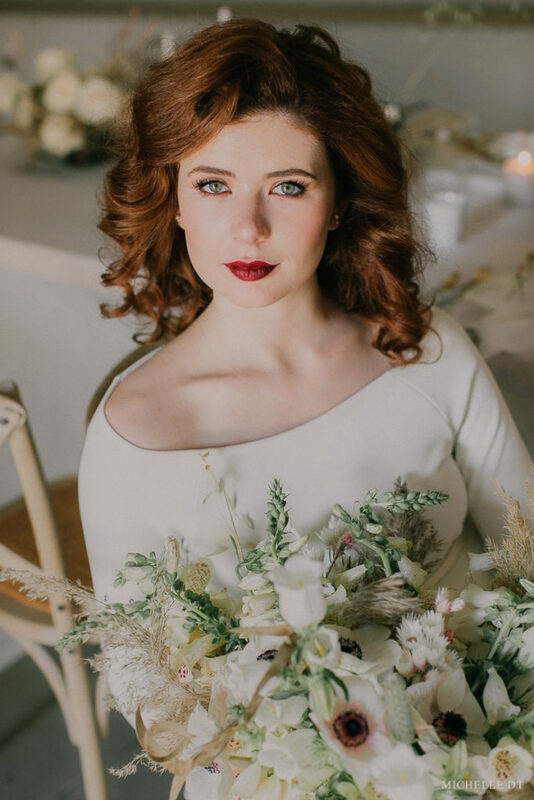 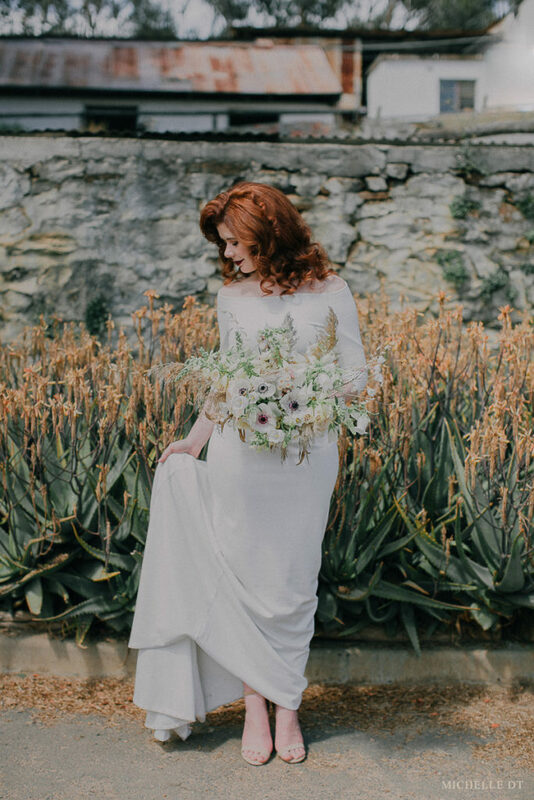 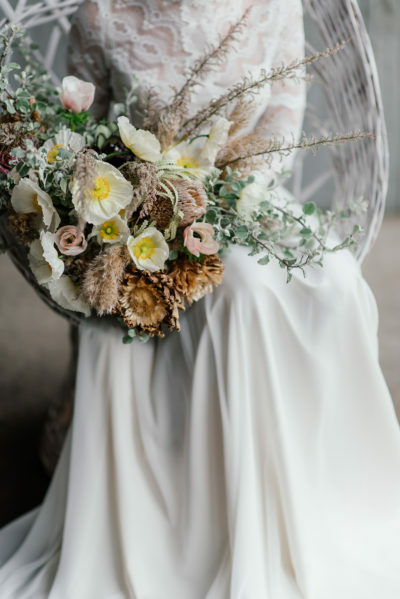 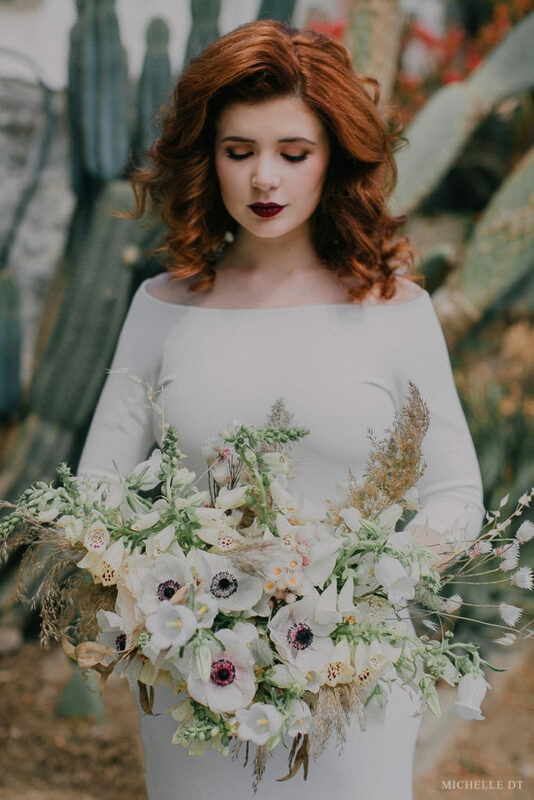 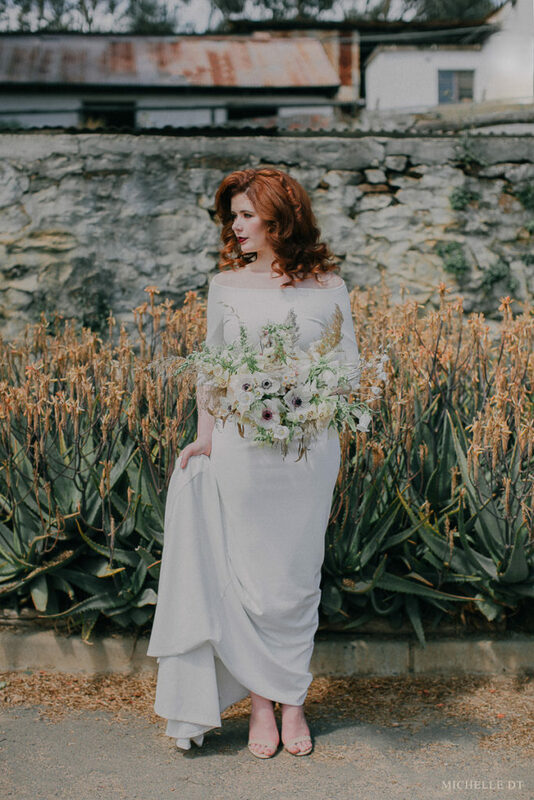 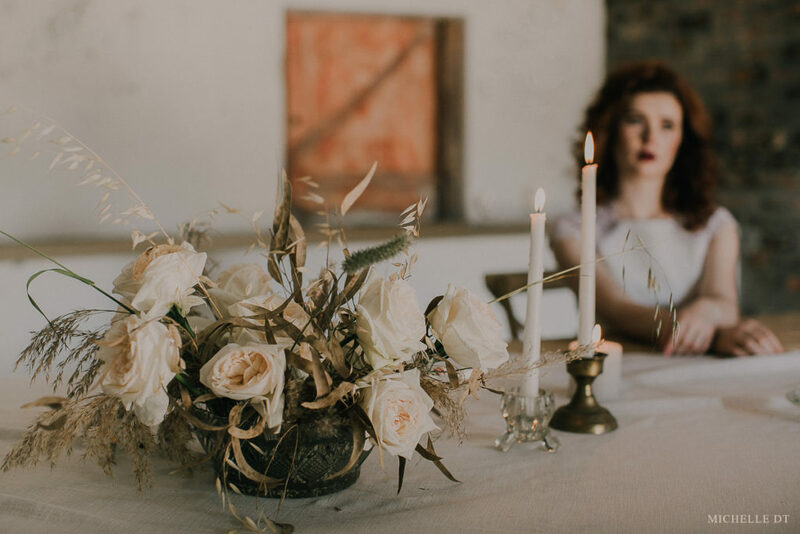 Michelle DT Photography was the perfect fit for this editorial and we had a really hard time choosing which images to upload – they all are out of this world! 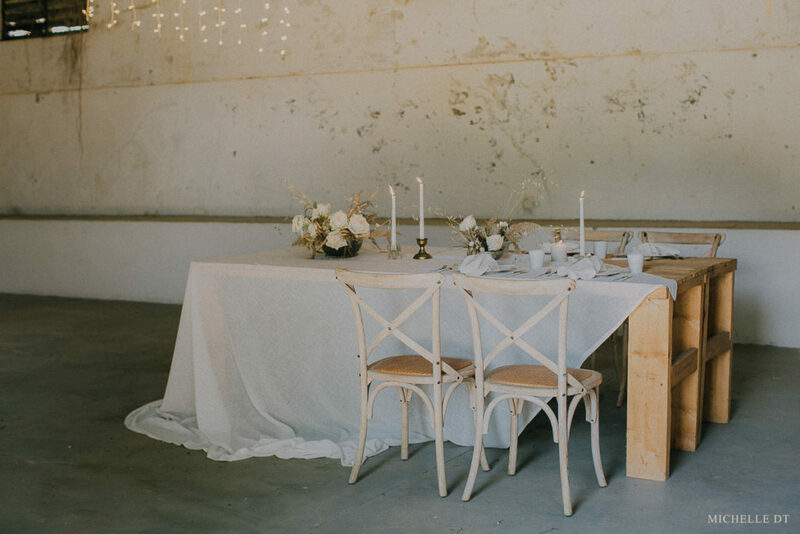 The off white linen, raw wood tables and textured walls all created a space that feels uninterrupted, a pause in this busy world, inviting you to breathe again. 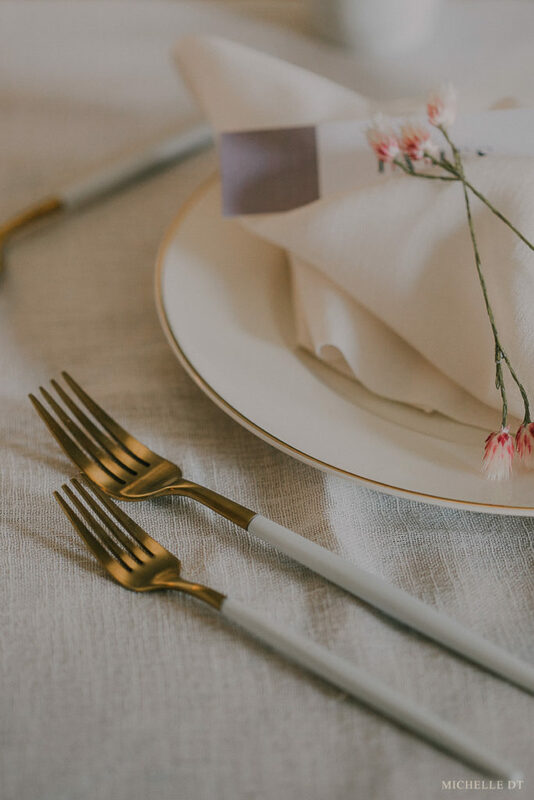 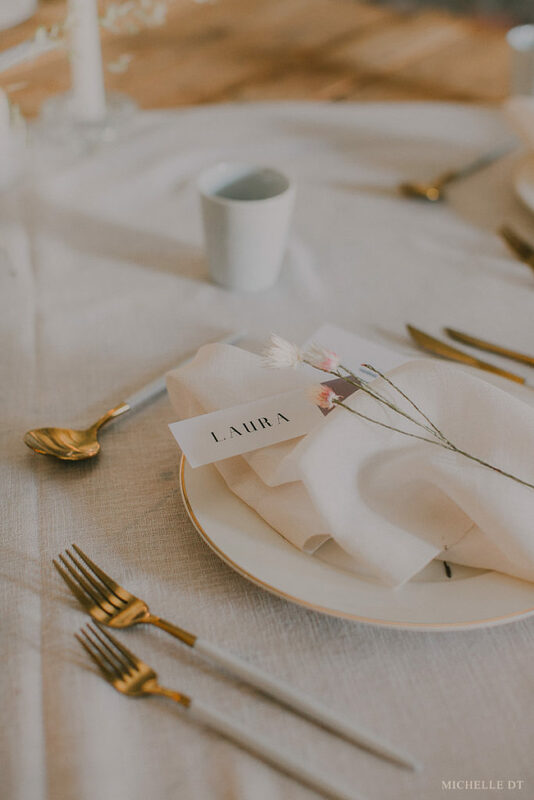 Warm garden roses and sleek gold & white crockery and cutlery kept the table scape beautifully elegant without disturbing the simplistic nature of the combined elements. 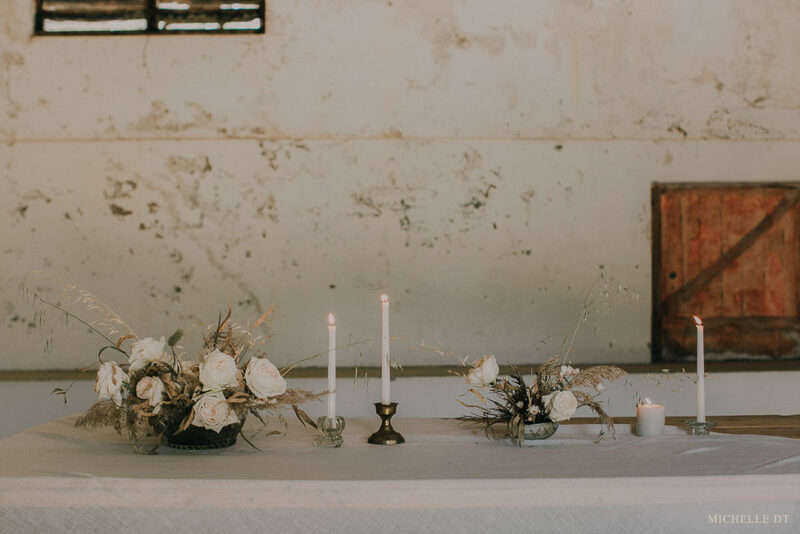 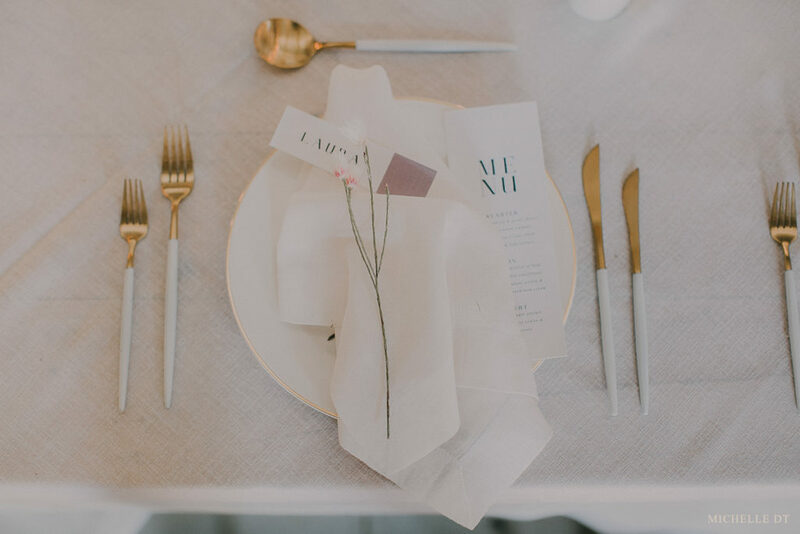 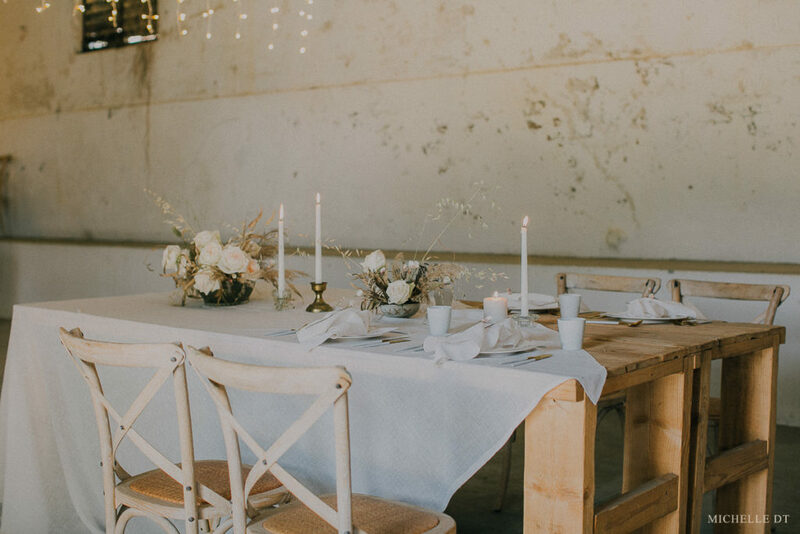 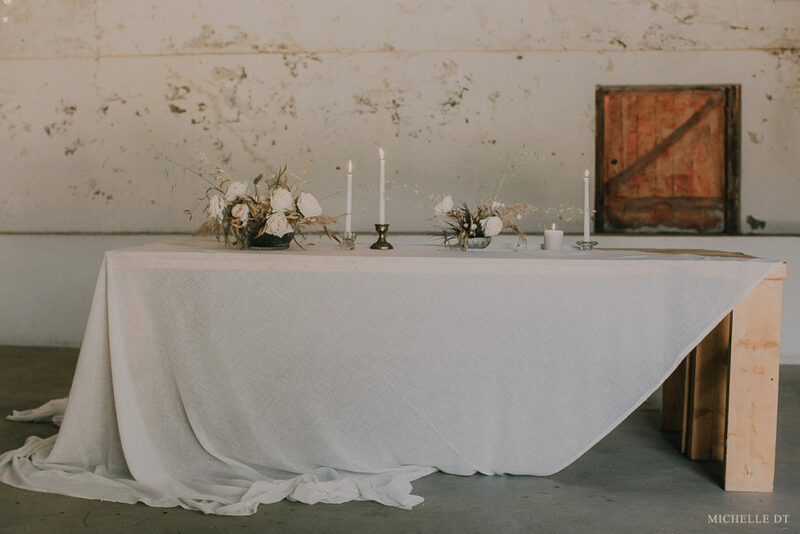 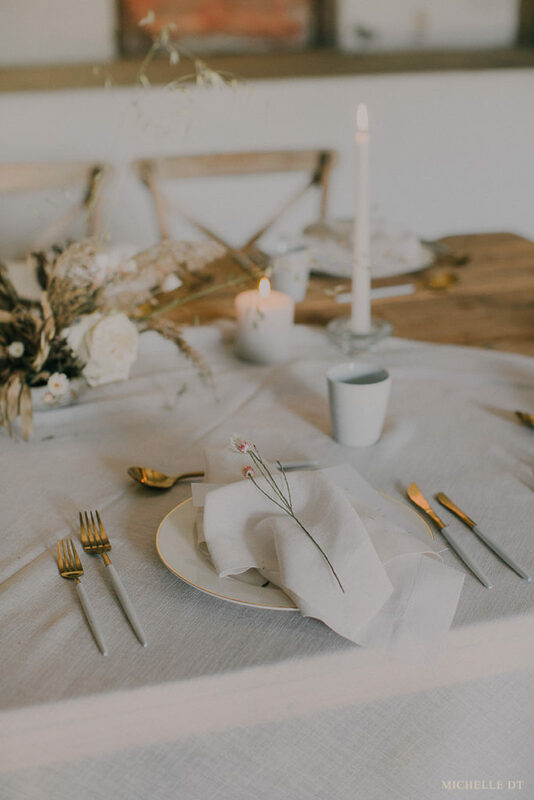 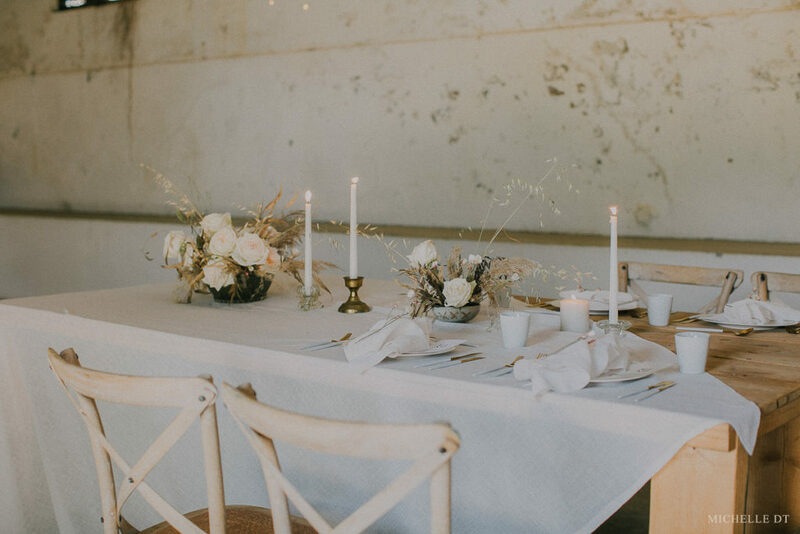 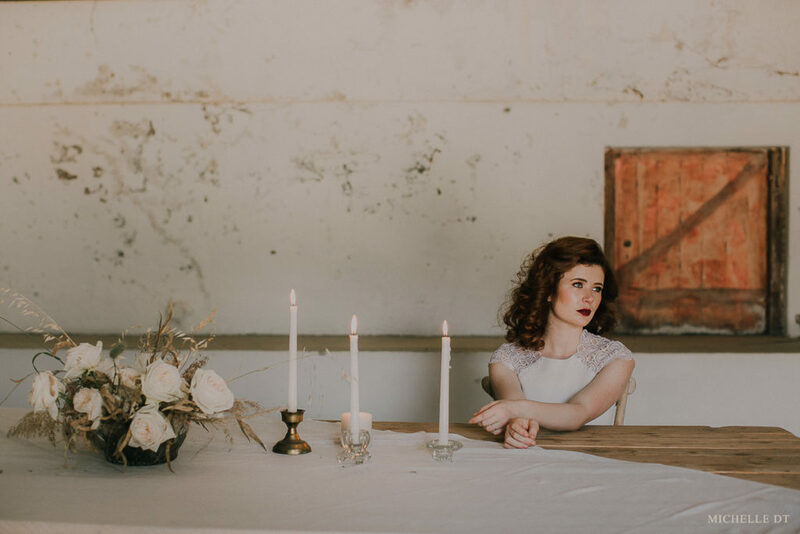 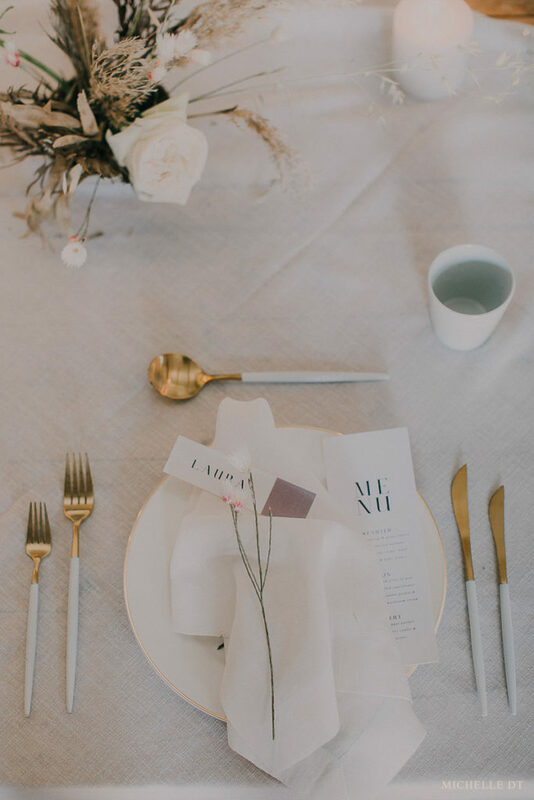 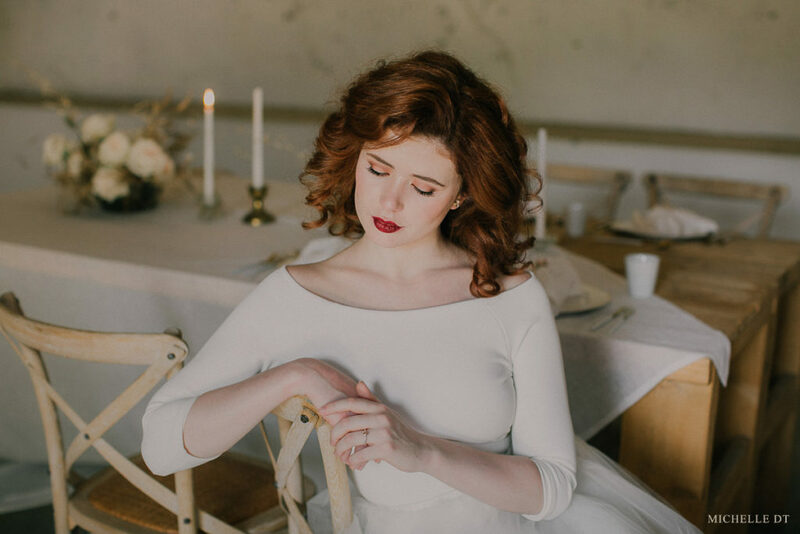 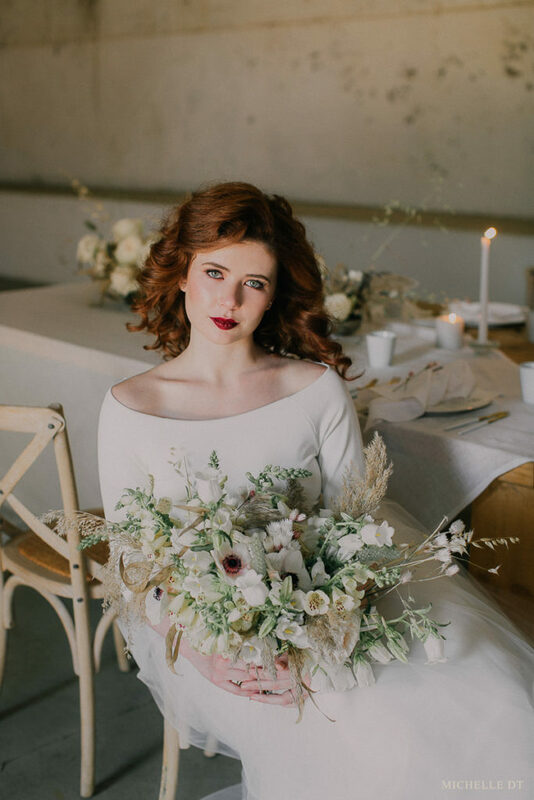 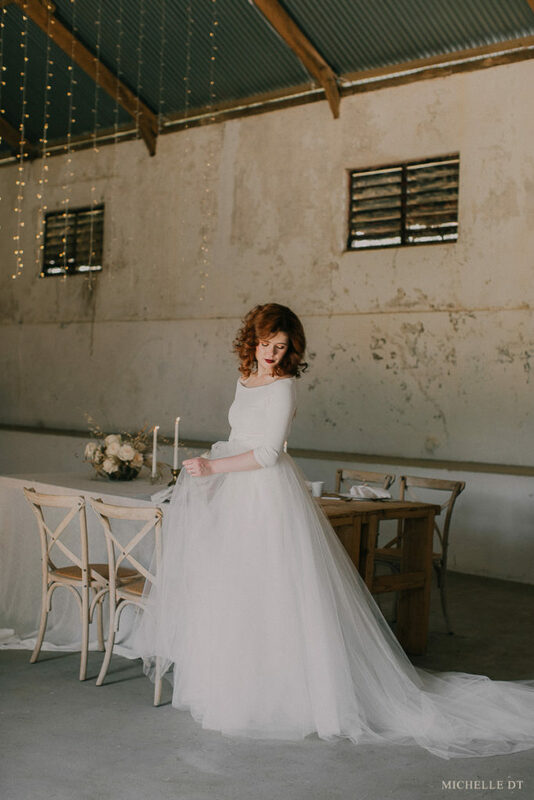 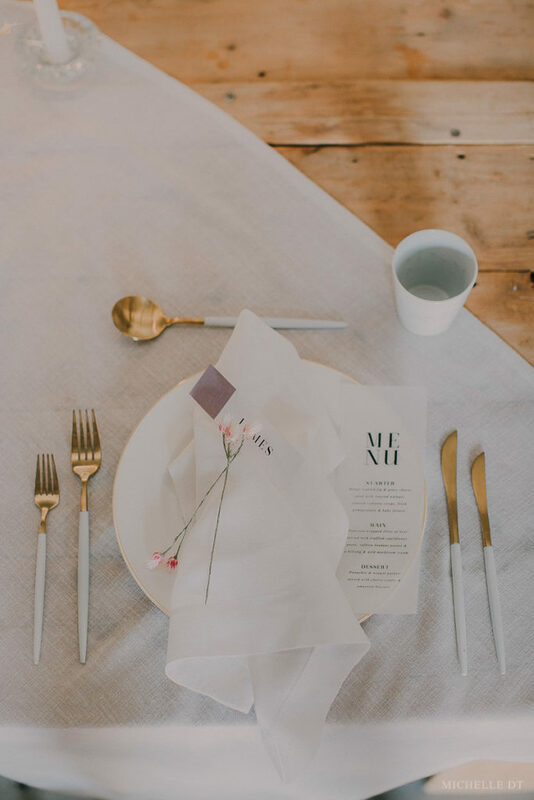 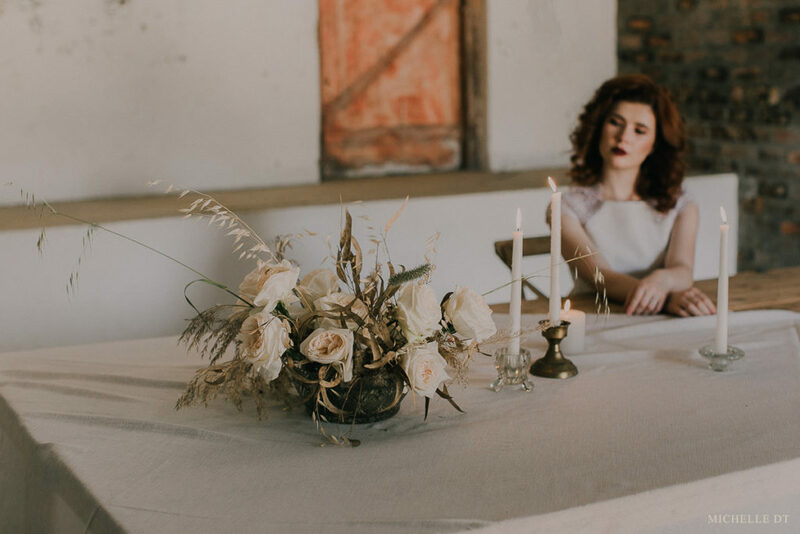 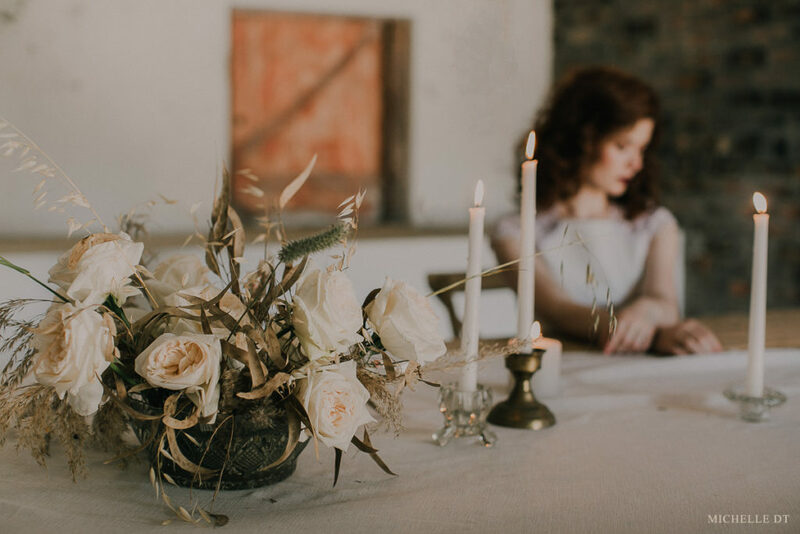 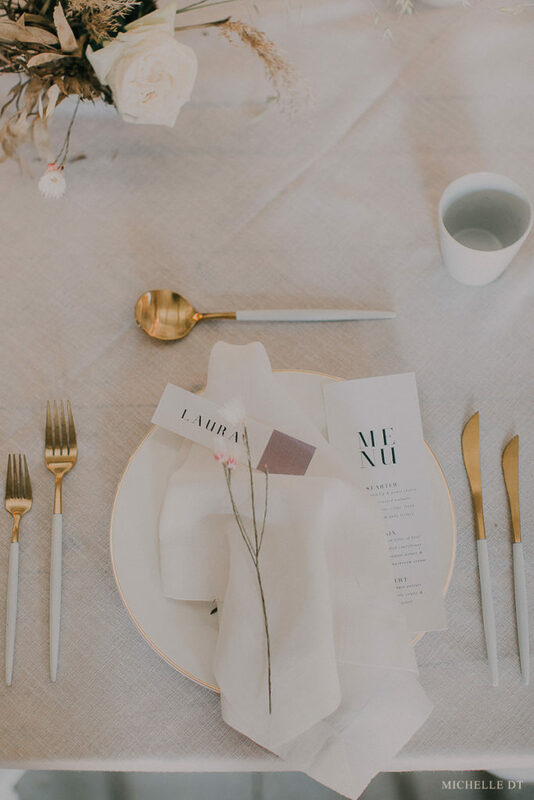 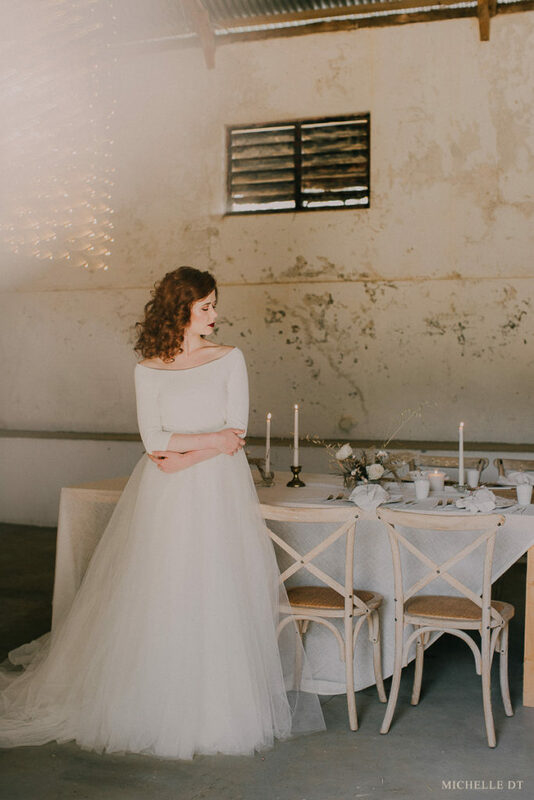 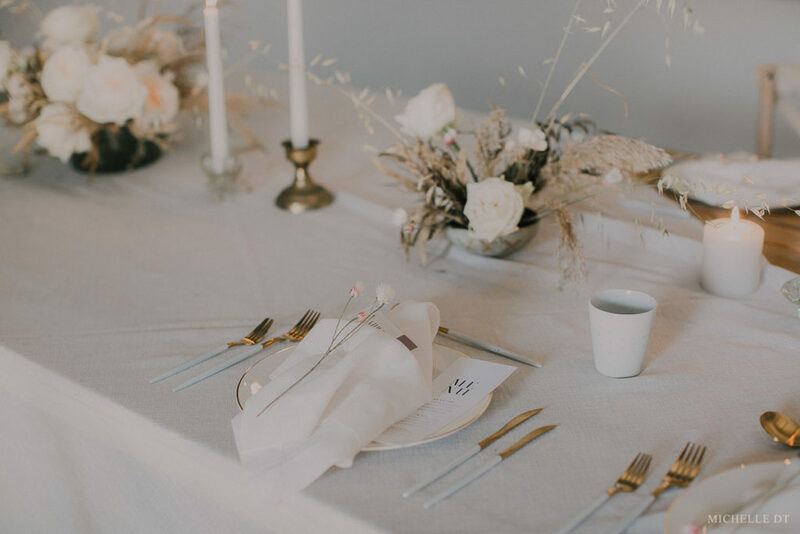 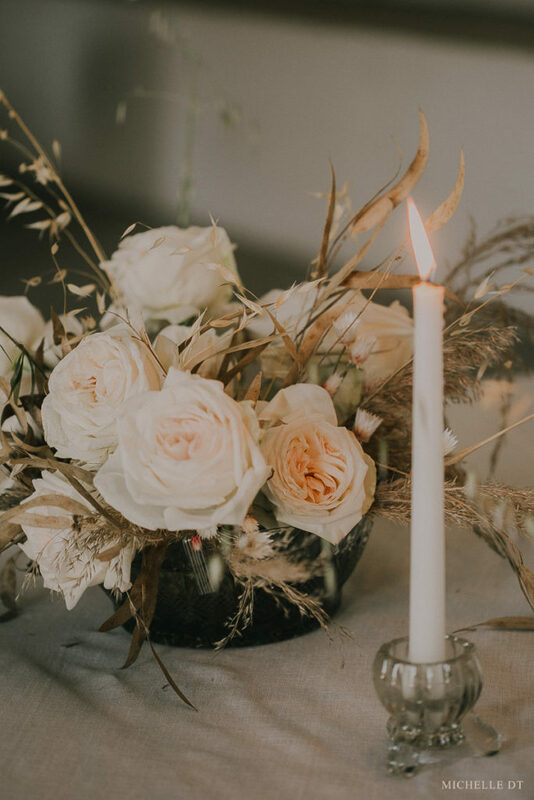 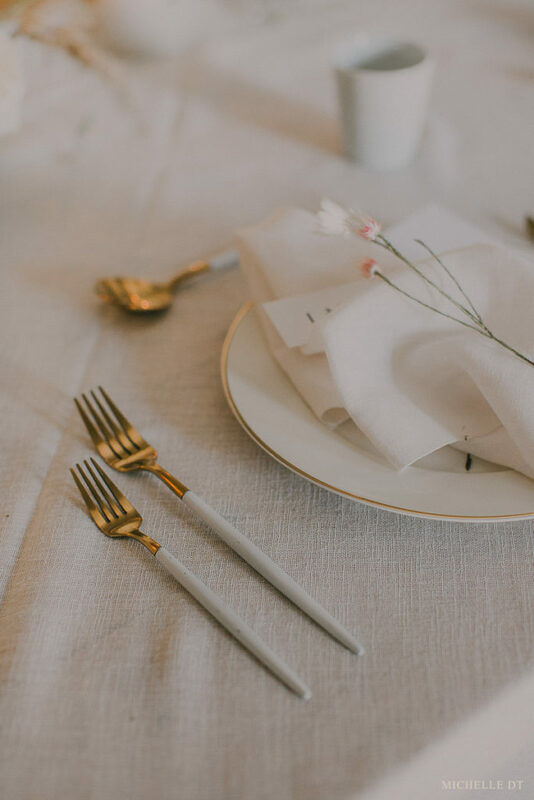 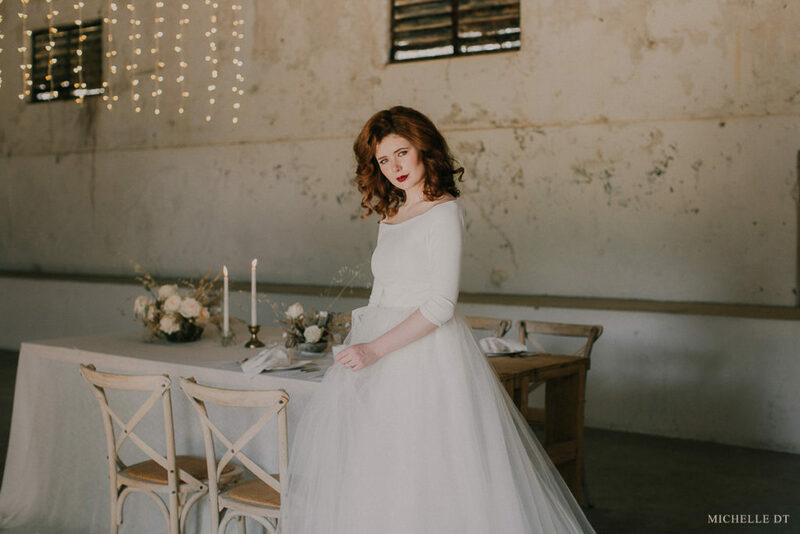 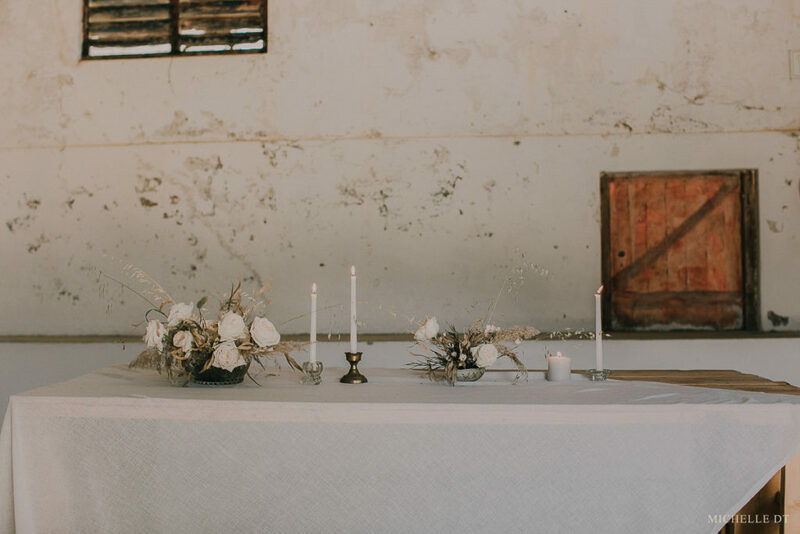 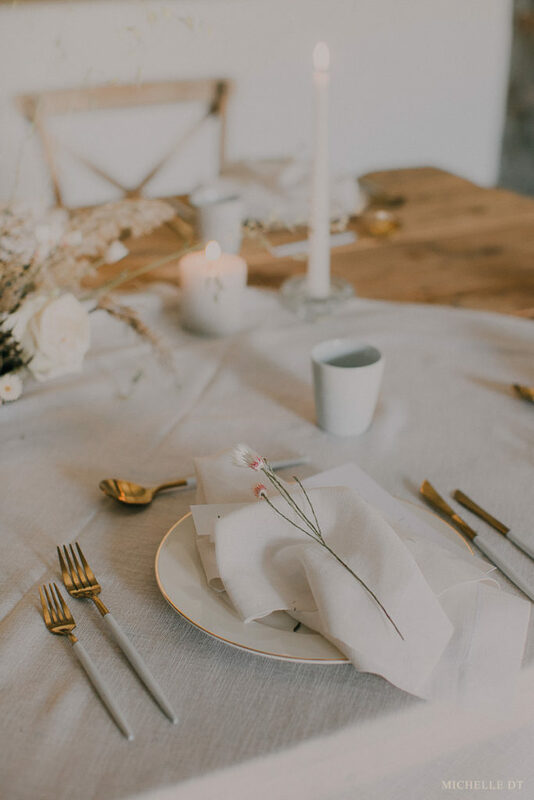 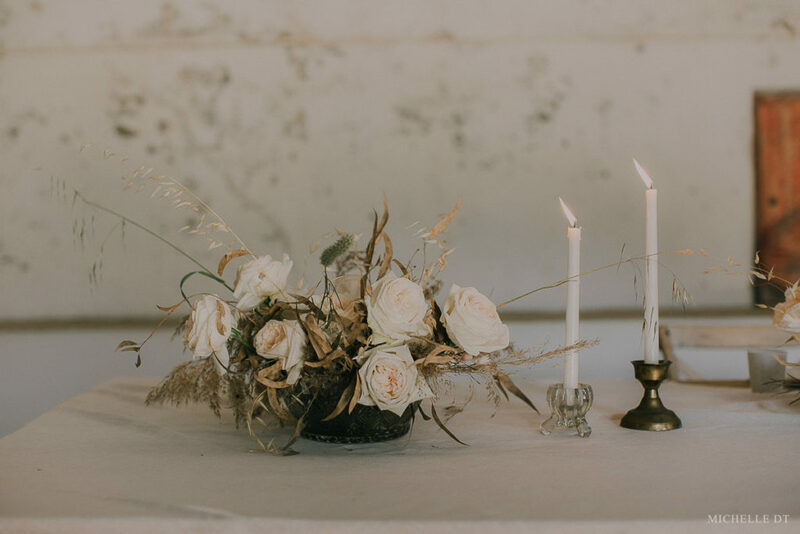 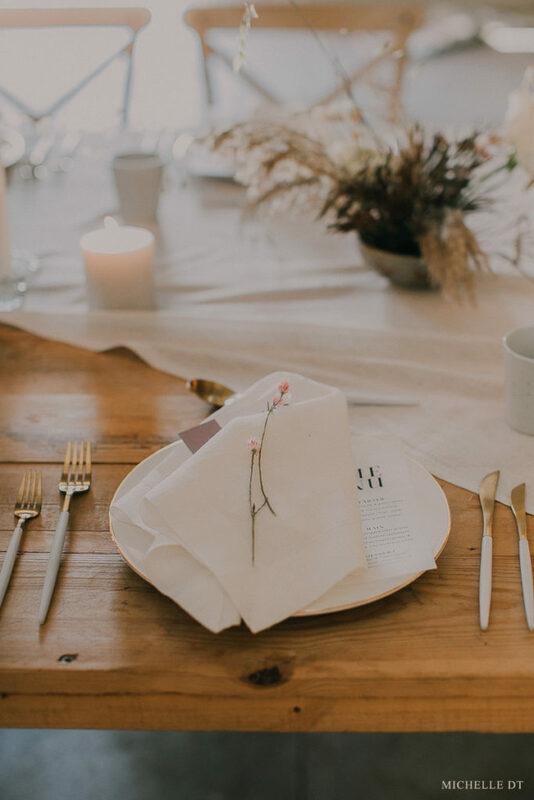 The venue, chairs, crockery and cutlery was from our friends from Two Birds @ The Dairy Shed and was also the backdrop to this wedding inspiration shoot. 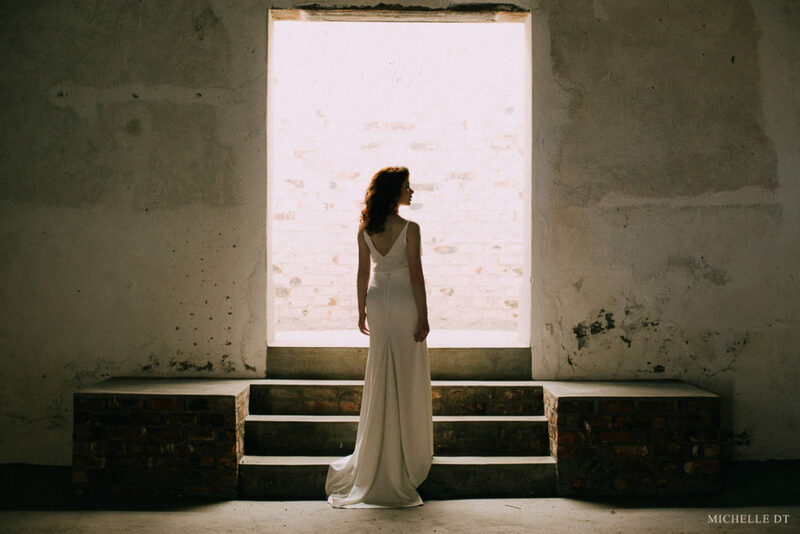 The amazing dresses were created by the super talented Janita Toerien and Andeline, our gorgeous model and current Ms Continents, looked amazing in them! 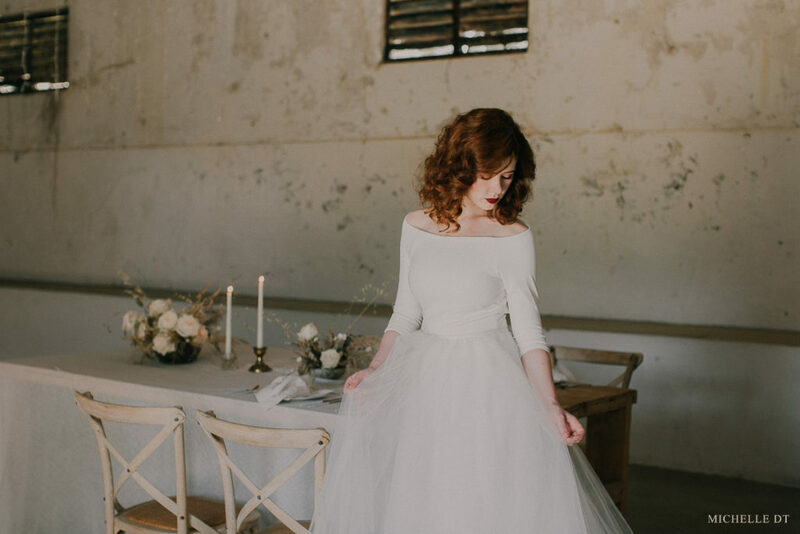 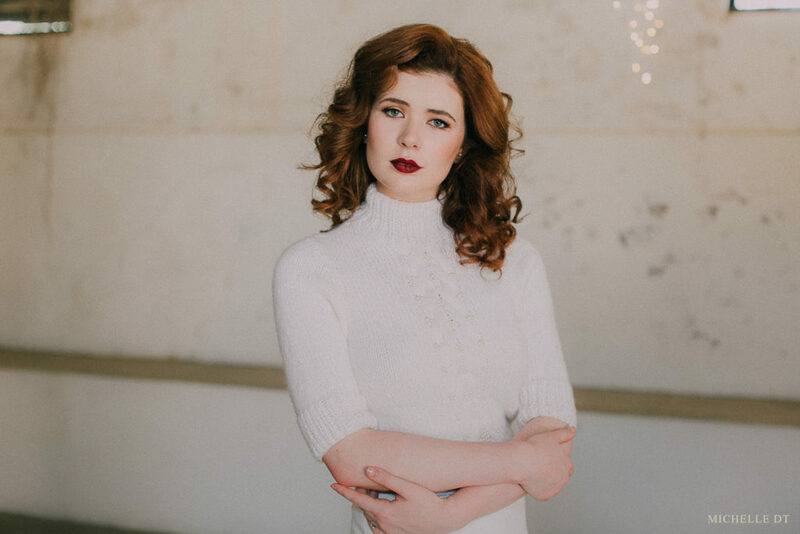 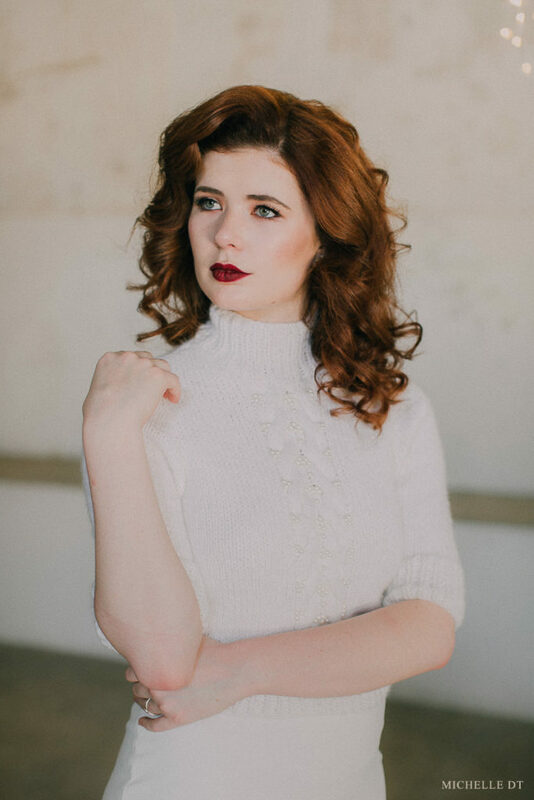 Marnel Toerien worked her magic and created a look that is both beautifully timeless and current. 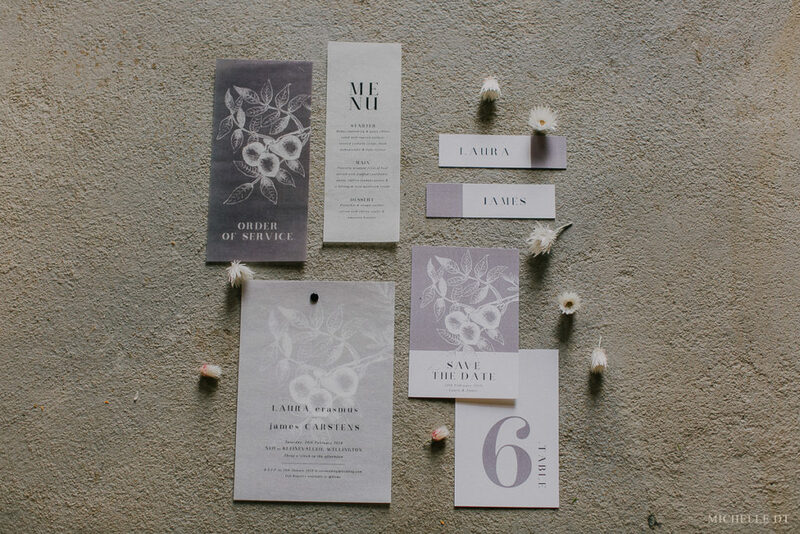 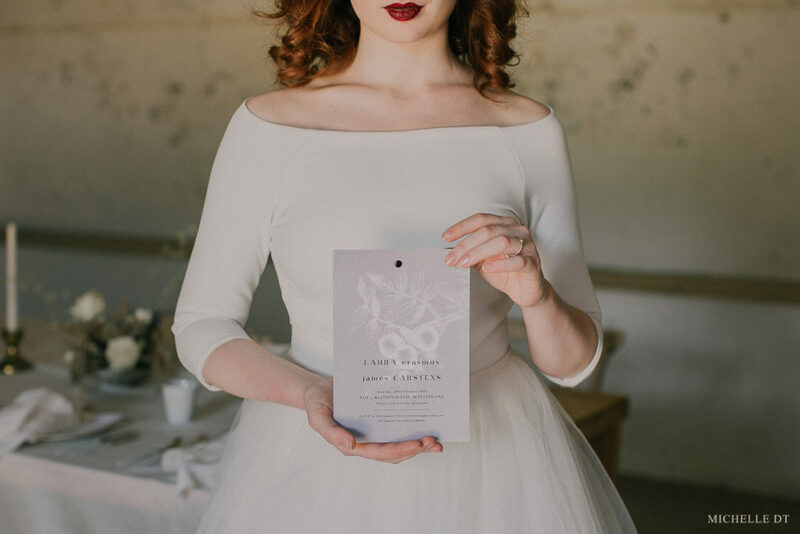 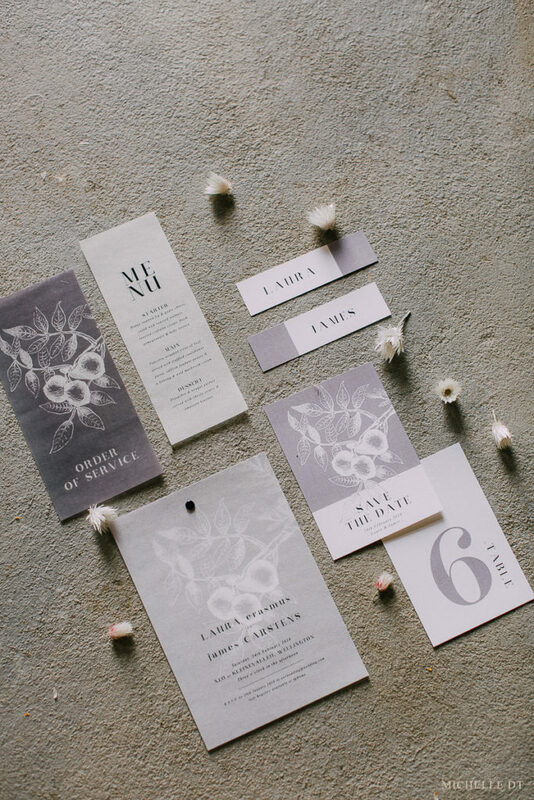 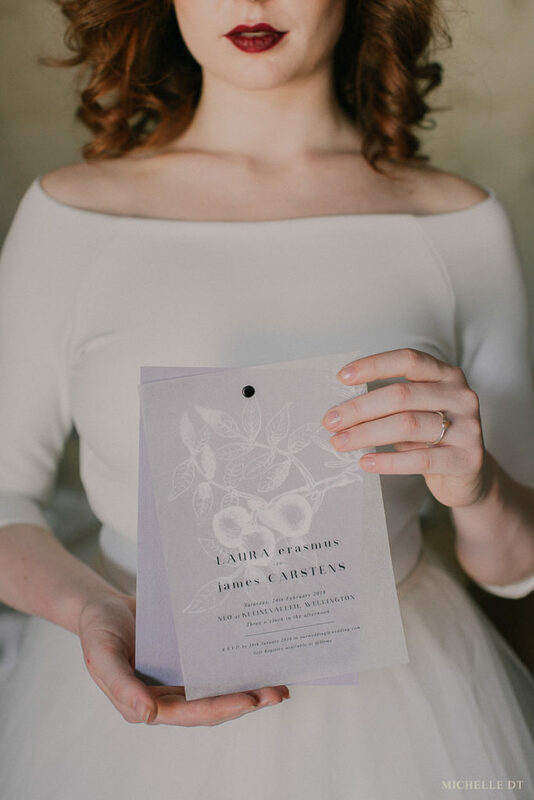 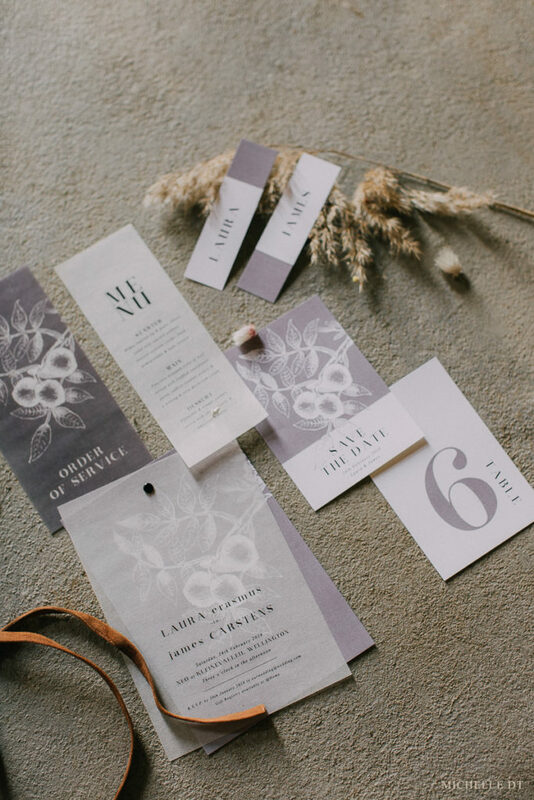 Pretty in Stains created the most beautiful stationary with hints of grey and pale purple on both white and transparent mediums. 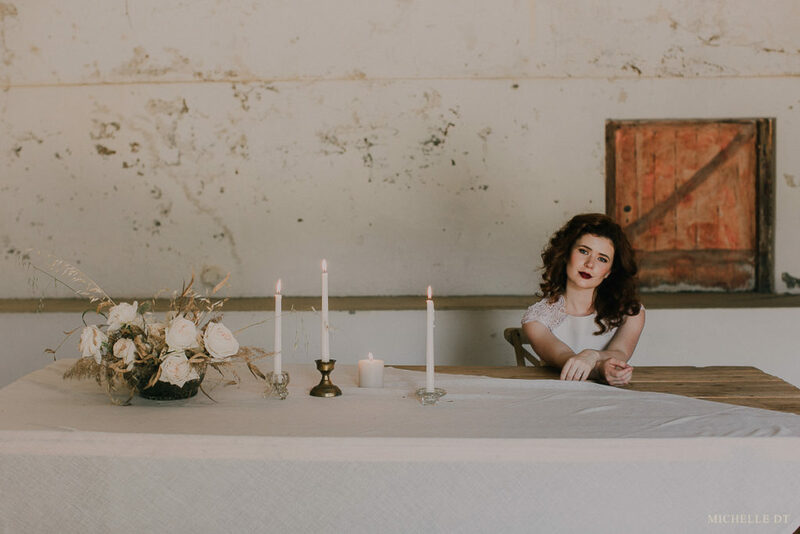 We loved this whole set! 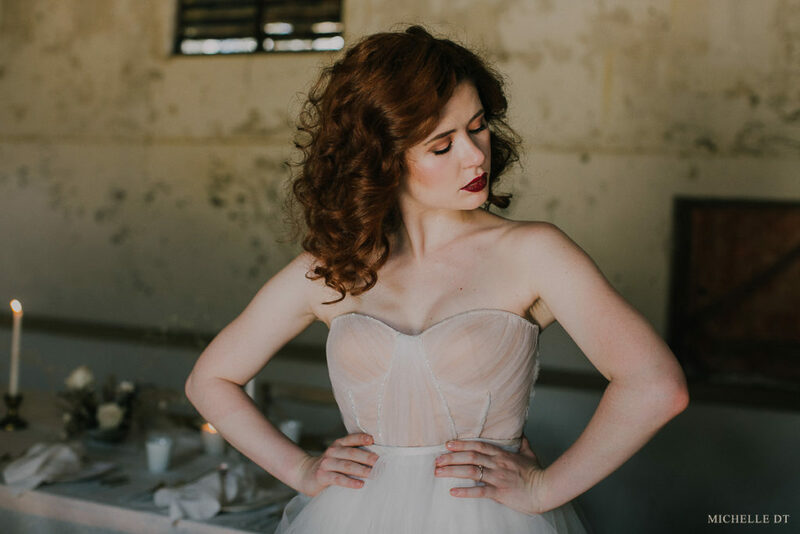 This editorial was also featured on Lovilee Blog, have a look here.